The song, written by Mary Kawena Pukui and Maddy Lam, celebrates the district of Kau on the island of Hawaii. It describes the amazing land and it’s beauty. I love songs that teach me about an area! The best way to learn! And the Kahauanu Lake Trio’s rendition has got a “swing” to it that will get into your bones! *Please click HERE to read Uncle K’s page on the Hawaiian Music Hall of Fame’s website. Listening to my iPod on “shuffle mode” this week, this song caught me off guard. When it first started, I thought it was Eddie Kamae and the Sons of Hawaiʻi. (That ʻono steel guitar! Sweet!) And then I heard Mark Yamanaka’s distinctive voice. What a treat to be surprised! Wanna know why it might have that “old-school” kanikapila-style sound? Well, it was written by one of my favorite composers, the one and only Rev. Dennis Kamakahi! And Uncle Dennis wrote and recorded many of his compositions while he was a part of the Sons of Hawaiʻi. Turns out, it’s no coincidence, at all! I love the song. And I love Mark’s wonderful rendition. Right on! I can’t get enough of Kuʻuipo Kumukahi’s voice. Gentle yet powerful. When she hits those low notes, wow… it resonates deep in my body. My naʻau–my gut. I can feel it! A song to celebrate where her family home is, not too far from Hilo on Hawaiʻi Island. It’s got that distinctive hula-feel. I wonder if it’s been danced as a hula! If I close my eyes, I can see one, for sure. Her music inspires me to try to write my own song. And her voice inspires me to sing. Mahalo for that! *Please click HERE to visit Kuʻuipos’s website. You guys know how much I love a good ’70′s vibe. And this song–complete with some killer jazz flute!–rocks me to my core! This is an instant “feel good” song for me. I can’t help it–I start swaying and my neck starts swinging. Awesome! And the “hand claps” section that comes in on the chorus = over the top awesomeness! Herb Ohta, Jr. playing a solo ʻukulele with his amazingly skilled hands. For realz. Check it out. *Please click HERE to visit Herb Ohta Jr’s website. Hawaiian love songs are my favorite. No contest. No other music can compete when it comes to creating a romantic mood. Maybe the geographic isolation of the Hawaiian islands makes it a fertile ground for romantic thought. Maybe it’s because the composers are surrounded by such natural beauty. Maybe it’s because the sunsets in Hawaiʻi are the best on the planet–and they have a way of creating a romantic mood. This contemporary ballad is a true favorite! I first heard this song years ago, before I’d really begun my Hawaiian language studies. Without even understanding the lyrics, I knew the song was a love song that was DEEP! Ha! Years later, after the language began making sense to my ears, I listened to the song, again. And it knocked my socks off. The title translates as “My Beloved Never-fading Flower.” Wow… a love that remains eternally beautiful and fresh. Even typing these words brings tears tears to my eyes. Written by Kealiʻi Reichel, it’s a treat to hear him sing it–as he intended it to be sung. Often attributed to Lilian Awa, this song is crooner staple. Why? Well, for starters, the lyrics are incredibly beautiful–simple yet lush oh-so-lush imagery about two lovers spending a romantic evening on a deserted beach on the night before the fullest phase of the moon. And the melody allows a crooner to embellish away–adding all of the crooner dips and flourishes that they love! And it’s one of the most requested songs I’m asked to play when I’m playing for a hula dancer. The song is a bit tricky when it comes to playing for a dancer–there are two accepted versions that I’m aware of. And each version differs slightly, whether it’s a full vamp in between verses or what some of my hula friends call a “cheated vamp”–a variation of the traditional hula counts. Its complexity is actually a lovely gift because it means that the dancer and the musicians must work together. No one can go on autopilot. We listen and watch and move and breathe as one. And Dennis Pavao’s stunning voice makes this song come to life so beautifully. Another staple in the crooner repertoire. This song, written by the inimitable duo of Mary Kawena Pukuʻi and Maddy Lam, describes a beloved flower, a caressed blossom. It’s not hard to imagine that the composers might have been talking about a beloved person, as well. Right? And Kuʻuipo’s touching rendition reaches right into my heart. Perfection. One of my all-time favorite songs-to listen to and to sing. This classic love song was written by Uncle Dennis as a proposal to his bride. Imagine?! You can read the story on Huapala’s website by clicking on the link HERE. It’s been covered by a ton of artists–and all of the versions are beautiful! But Uncle Dennis sings it the way he sang it to propose. So special! I heard this song playing the other day and it made me get all teary-eyed. True story. A love song written for Hawaiʻi. And sung by the amazingly lovely voices of Nā Leo Pilimehana. You just can’t ask for more than that. What romantic songs are making YOU swoon? Drop me a line and let me know! 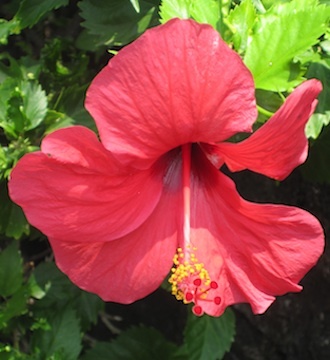 **Please click HERE to see The Croonerʻs TOP 5 Hawaiian Love Songs from 2011. Listening to this song takes me back in time. The music of Nå Leo was one of my first taste’s of Hawaiian music—I bought this CD after listening to my friend’s collection. 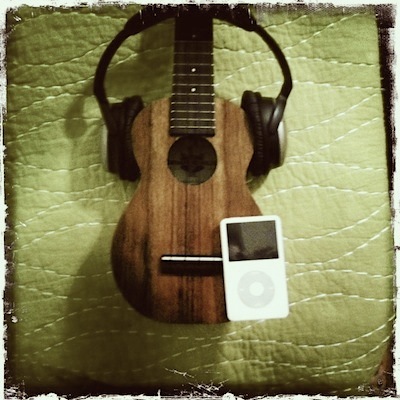 And… this was one of the first songs that I learned to “strum and sing” with my ʻukulele! Ah… those were the days! Their lush harmonies rival those of any mainland-based “girl groups.” And their Aloha spirit comes through loud and clear in their music. It’s been a pleasure to remain a fan over the years—and to watch these wonderful ladies continue to bring us all great music. This classic song–written by King David Kalākaua under his pen name, Figgs– ambles along like a paniolo (cowboy) style tune. It never fails to make me smile when I hear it. Bill Kaiwa is a master of sounding equally rugged and tender when he sings. I listen to him and study his style.